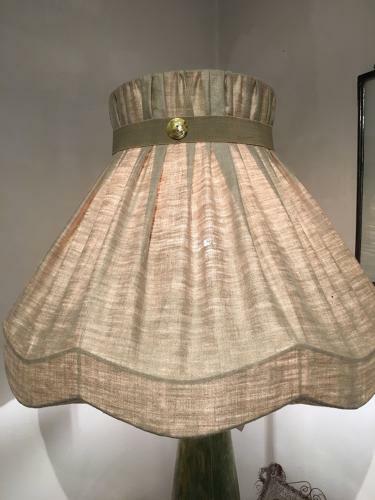 A very large vintage lampshade re-covered in antique linen with mother of pear button detail. Gives a lovely light when lit. Suitable for standard lampbase.